BAC Jet Provost T4 The prototype (XD674 – stored at the RAF Museum, Cosford) first flew on 16 June 1954 and the type was adopted by the RAF as its basic jet trainer (its first jet trainer), deliveries starting in August 1955. 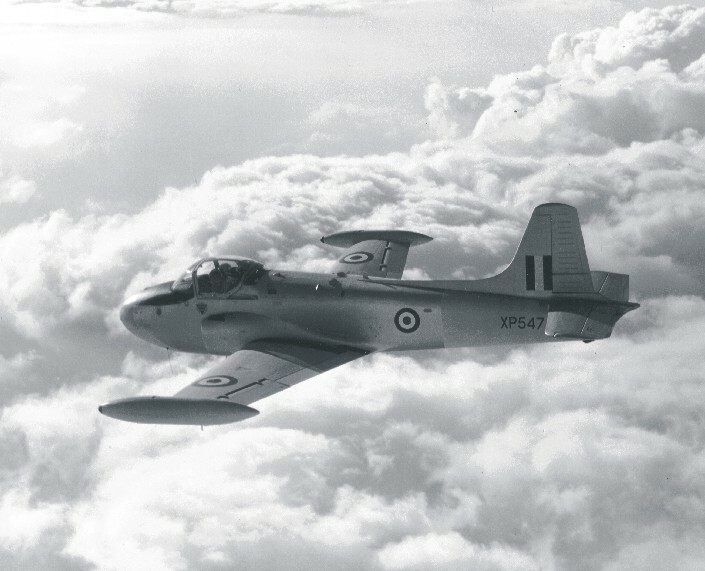 The type was based on the piston-engined Hunting Percival Provost, which had previously been the standard basic trainer, a role which it continued to serve in diminishing importance until 1961. So from the early 1960s, pilots completed all their training on jets. 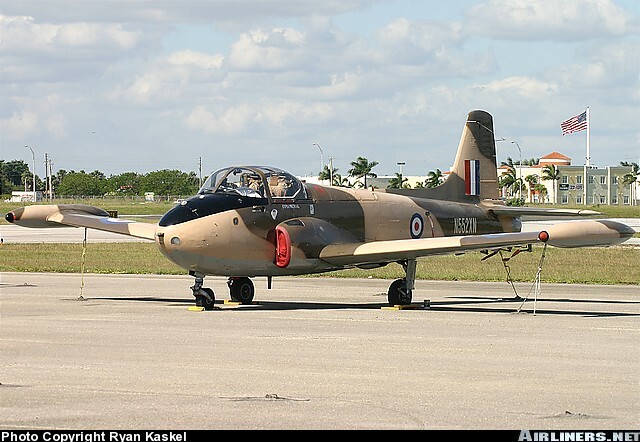 After BAC took over Hunting, the T4 was produced with a Viper 11 engine of 11.100 N thrust. 198 of this mark were built, and were delivered between 1961and 1964. Cockpit pressurization was not introduced until the Mk. 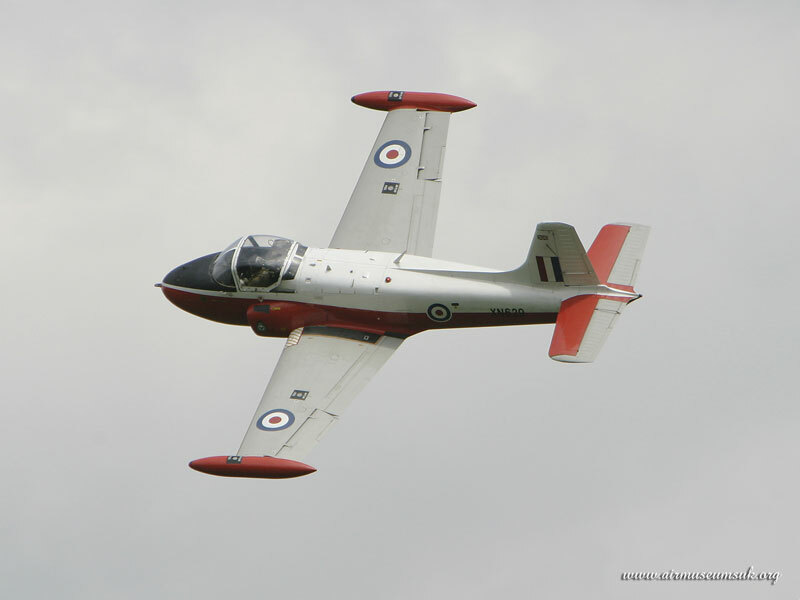 5, the ultimate version of the Jet Provost. The T. Mk4 was phased out of the training role by the mid-70s, although a small number served until 1988 in other roles. 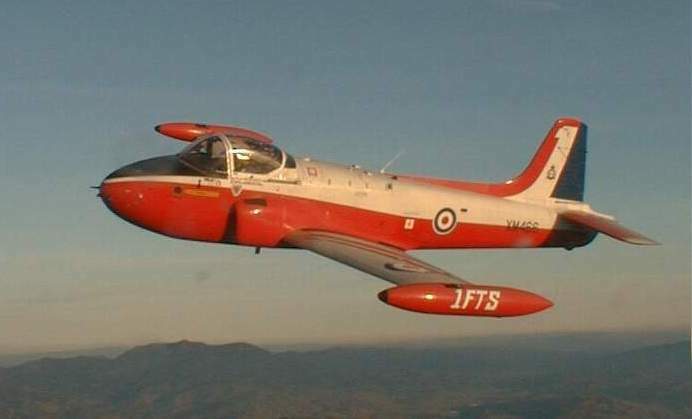 The last Jet Provost in service was retired on 20 September 1993. 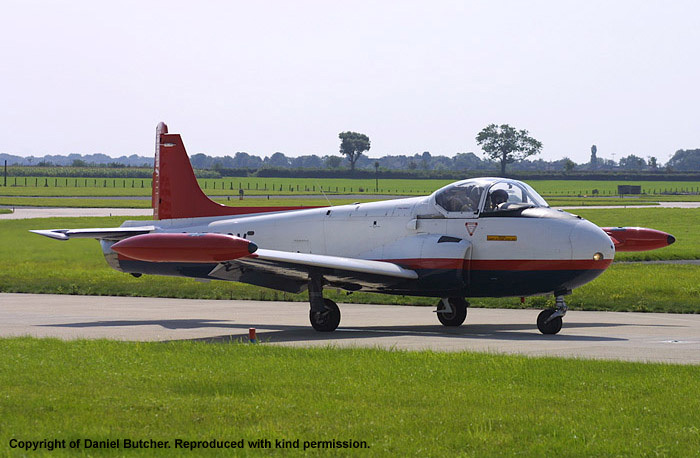 It had been replaced by the Shorts Tucano, which uses eight times less fuel for a similar performance. Initial production batch for the RAF. Main production batch for the RAF. 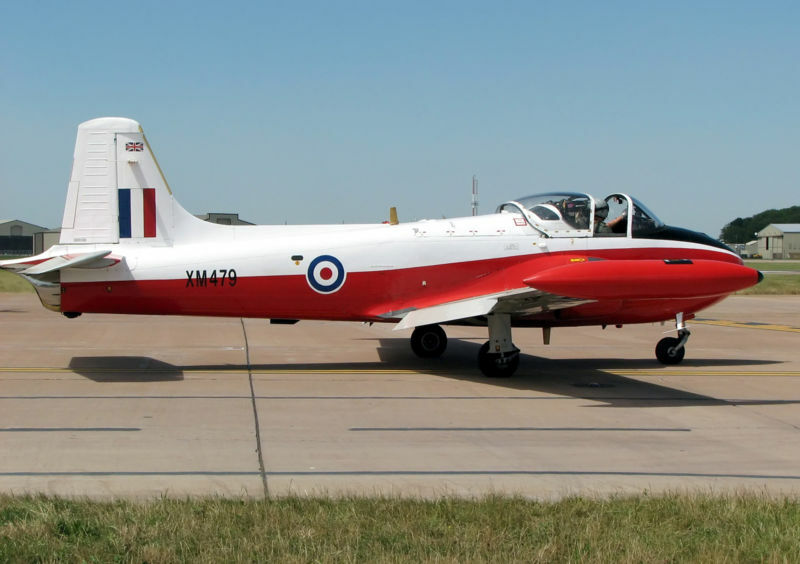 Modified T3 with improved avionics for the RAF. Variant with more powerful engine for the RAF. Pressurised version for the RAF. Converted T5 with improved avionics. T5 converted for navigator training. Export Version of the T3 (12 built for Ceylon, 4 built for Sudan, and 6 built for Kuwait). Export Version of the T4 (12 built for Iraq, 15 built for Venezuela, 8 built for Sudan). Export Version of the T5, built for Oman. Ground attack version of the T5. The aircraft, build number PAC/W/17635 was delivered on 19/09/1962 probably to No1 FTS at RAF Linton-On-Ouse. After RAF service it became G-27-92 and was transferred to South Yeman AF as 107(7O), 355(9V), 5B-C. 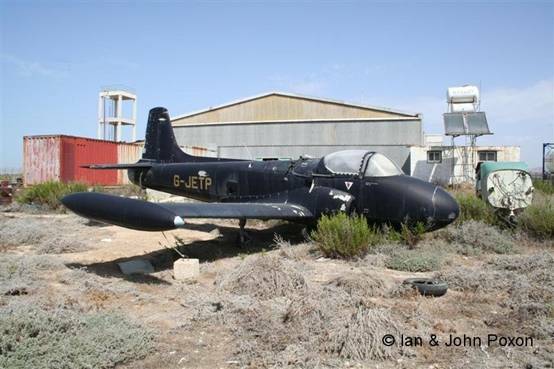 The aircraft was known to be at Bournemouth in the early 1990’s as G-JETP; it was flown to Cyprus and is currently sitting on the dump at Paphos airport Cyprus. A recent photograph shows it still on the dump October 2006. Aircraft was delivered on 02/05/1963; it was scrapped at Ascot in August 1971.